When I purchased Blood Work online, I thought I was buying the sequel to Trunk Music. “The Also By Michael Connelly” page in the front matter of Trunk Music listed Connelly’s books by publication date, however, not by which character series they were part of. So, when Blood Work arrived, I was surprised to be reading about former FBI agent Terrell “Terry” McCaleb instead of LAPD detective Hieronymus “Harry” Bosch. Surprised, but not disappointed. Blood Work is a good story in its own right (with an prospective reference to Michael “Mickey” Haller Jr. seven years before The Lincoln Lawyer was published). It follows McCaleb’s investigation into the murder of Gloria Rivers. At first, her murder appeared to be the random act of a convenience store robber. As McCaleb digs into the case at the request of Gloria’s sister Graciela, he uncovers a deeper, more sinister background to the case that hits a little too close to home. 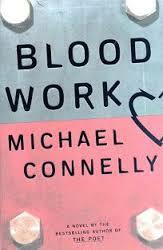 Blood Work was not quite the page-turner other Connelly books have been, at least not in my opinion. That only means it took me a weekend to read it instead of a day. Connelly is a great storyteller and has become my favorite crime novelist. Buddy started the car. He had to turn the ignition twice before it kicked over. Reassurance that the good guys beat the bad guys in the end. That’s why I continue reading Michael Connelly. 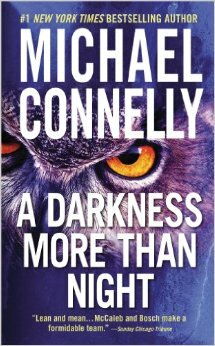 If you’re interested in other books involving Terry McCaleb, check out A Darkness More Than Night and The Narrows. And if you want to read Connelly’s Bosch books in proper order, make sure to check out his website.